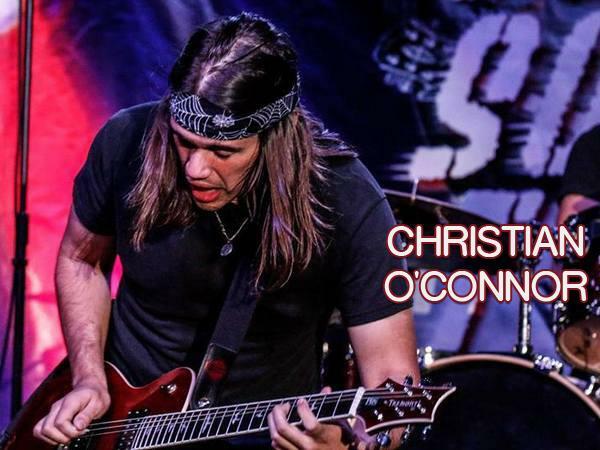 Join us this week as we welcome Rock music singer and guitarist, Christian O'Connor. With a mastery of mind melting guitar, Christian fronts a power Quartet that is leaving a mark on every trail they blaze. Letting licks rip like Billy Gibbons, Derek Trucks, and Kenny Wayne Shepherd, O'Conner isn't just making a statement, he's detonating one. Mixing Stevie Ray Vaughan type frenetics with a Iggy pop frenzy, he's a formidable force to be reckoned with. Over the past few years he has opened for Jennifer Page, Leigh Jones, Rivers Monroe, and The Howling Tongues. In addition he has performed sets at NASCAR & NHRA races, Boston's First Night & Harborfest and a red hot college tour. Logging 100 shows while criss-crossing the Eastern U.S. again and again, Christian is a man on the move, both literally and figuratively. Armed with full backline and a front of house system, Christian and his band are headed out on the highway to support his forthcoming 2017 album release "Wine Over Water - Blood over Wine", a 10 track behemoth that's set to rattle the foundation that classic rock was built on. We will talk to Christian about his upcoming schedule, get a behind the scenes look at his music, feature his latest songs, and ask him to share his message for the troops. Please be sure to visit Christian O'Connor at https://www.facebook.com/christianoconnormusic and spread the word. Fans are welcome to call in and speak live with Christian during the show (718) 766-4193. And as always we will give shout outs to our deployed military listeners. Our message to the troops: WE do what we do, because YOU do what you do.